Peripheral vascular ultrasound is a test used to evaluate the health of blood vessels. Ultrasound uses sound waves to capture images of structures inside the body. 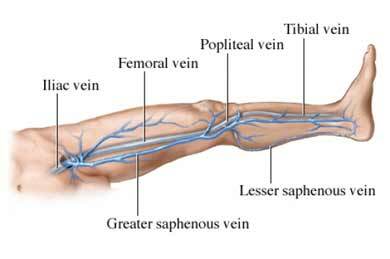 The procedure is also used to evaluate the results of vascular surgery. Gel will be placed on the skin of your arm or leg over the area being tested. One is a simple 1-dimensional beam that detects movement by making a swishing sound. A hand-held device is pushed against your skin in the area being tested. Sound waves are sent into the body and bounce back to the machine. This is used to detect blood flow in arteries that may be narrowed. It may also be used to check for blood flow in veins that the doctor is concerned about. The other technique makes a 2-dimensional image. The ultrasound machine has a hand-held instrument called a transducer, which looks like a microphone or wand. The transducer is pushed against your skin where the gel was applied. The transducer sends sound waves into your body. The waves bounce off structures in the body and echo back to the transducer. The echoes are converted to images that are shown on a screen. The doctor examines the images on the screen. Photograph of them mat be taken as well. The results will let your doctor know if you need further testing or treatment. Duplex ultrasound. Society for Vascular Surgery website. Available at: https://vascular.org/patient-resources/vascular-tests/duplex-ultrasound. Accessed March 2, 2018. Vascular ultrasound. Johns Hopkins Medicine website. Available at: https://www.hopkinsmedicine.org/heart%5Fvascular%5Finstitute/conditions%5Ftreatments/treatments/vascular%5Fultrasound.html. Accessed March 2, 2018. Vascular ultrasound. Radiology Info—Radiological Society of North America website. Available at: https://www.radiologyinfo.org/en/info.cfm?pg=vascularus. Updated April 1, 2017. Accessed March 2, 2018.